October is American Archives Month, a time when archivists are encouraged to professionally advocate for their profession and explain the impact archives have on society. In case you missed it, the NSDAR Archives hosted a Facebook Live on the National Headquarters Facebook page earlier this month, which answered many members’ questions about working as an archivist at the DAR Headquarters. The NSDAR Archives is frequently asked about the process of donating items to archives. I am going to use the donation of Sarah Robert’s Papers this past summer to give you an example of this process. To begin the process, we encourage potential donors to contact us with a description of their items, rather than bringing them to DAR Headquarters. The NSDAR Archives collects materials that document the business and projects of the National Society Daughters of the American Revolution. This includes the papers of national officers, photographs of events, pins and objects used for various projects. 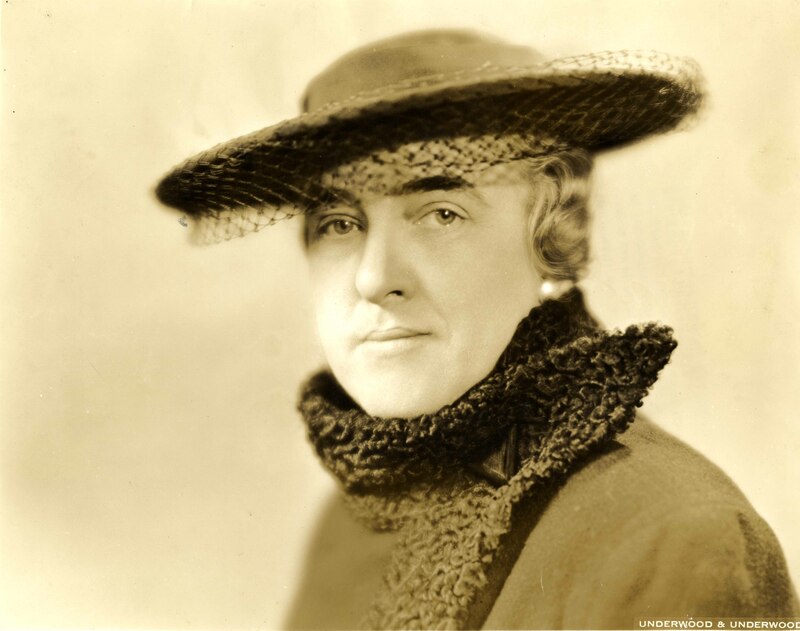 This past year, President General Sarah Robert’s son contacted us about donating his mother’s papers. 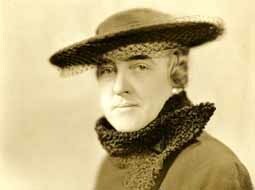 As the 17th President General of the NSDAR, Sarah Corbin Robert played a significant role in DAR’s history. 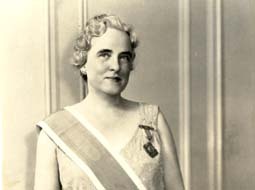 She joined the Peggy Stewart Tea Party Chapter of Annapolis, Maryland in 1921. Through her marriage to Henry Robert, Jr., son of General Henry Robert the creator of Robert’s Rules of Order, she became involved with teaching and editing this publication. As the Golden Jubilee President General, Mrs. Robert’s legacy involved leading several large projects and celebrations. 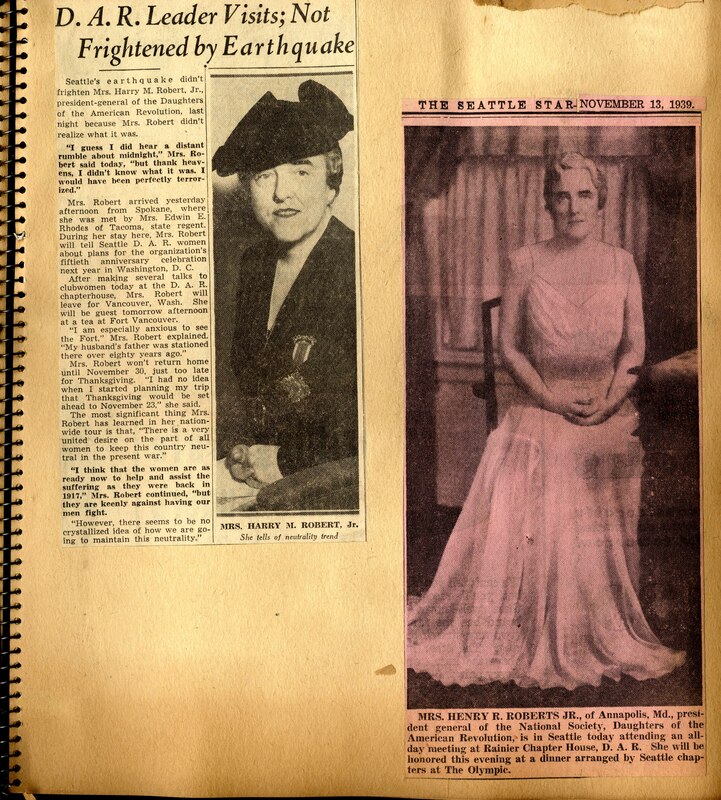 When her son contacted us about donating her papers, we knew that adding President General Sarah Robert’s materials to our collections would increase our understanding of the Golden Jubilee and NSDAR during the mid-twentieth century. Once we determine that the NSDAR Archives is the proper home for an item, donors either mail their donations or bring them to DAR Headquarters in person. However, since this donation was located in Annapolis and very important to us, we made a site visit to the home of Sarah Robert. During this visit we were shown the records in her estate and appraised them to determine what would be appropriate for the NSDAR Archives. We made a second visit to the Robert residence with a cargo van to transport the records back to DAR Headquarters. A top priority after receiving a donation is assessing the material’s preservation needs, which results in stabilizing and rehousing the records. Sometimes this is as simple as taking a photograph out of a glass frame, and other times this is as complicated as mold remediation. The home that the Robert’s Papers were stored had not been lived in for several decades, which made for a dusty environment. Fortunately, the majority of her papers were housed in old boxes and file cabinets. These serve as an excellent barrier between the materials and their environment. After spending many years in a dusty environment, the boxes had lost their stability, and upon receiving this donation we rehoused the entire collection in newer boxes and discarded the old boxes, avoiding bringing the dust and environmental pollutants into the NSDAR Archives stacks. Every year during DAR’s Continental Congress, significant donations are recognized during a Gift Acceptance Ceremony. 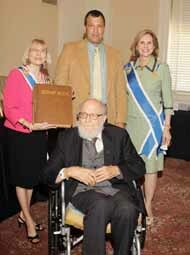 During Congress this past summer, Henry Robert, III presented the donation of his mother’s papers. It was heartwarming to see the audience give Mr. Robert a standing ovation for his thoughtful donation. Now that the Sarah Robert Papers have made their way into the NSDAR Archives, you may be asking yourself what happens next. The archives staff will go through these materials to arrange them and describe the collection in a finding aid. The description will make it easier to access the materials in the future. View this slideshow for a few highlights from the Sarah Robert Papers. I hope this blog gives you a better understanding about the process donations undergo to become part of the NSDAR Archives. If you have any questions, or are interested in donating materials to us, please email us at historian@dar.og . This week marks the 75th anniversary of the Fifty-Third Continental Congress which was held in New Y... 2 days 14 hours ago.